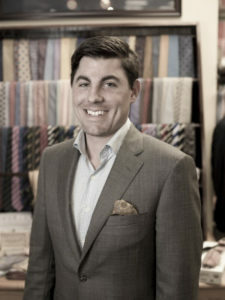 Doug began his career at The Locker Room of Auburn in September of 2010, right after the store opened. He began as a part-time employee while attending Auburn University full time. Doug’s previous work history included handling shipping and receiving at Kinnucan’s in Tiger Town, where he grew into a store manager by 2009. Doug graduated from Auburn on August 4th, 2012 with a major in Technical Writing, and immediately came on as a full-time employee at The Locker Room of Auburn. He has been a steady fixture at the store since day one and is the longest tenured employee at the Auburn store. Doug is an avid sports fan and has an incredible knack for retaining sports knowledge, particularly anything related to Auburn athletics or Braves baseball. If you think we’re joking, quiz him next time you’re in the store. He’s a veritable Rain Man of sports trivia. He’s also a force to be reckoned with in Fantasy Football and Baseball. Doug’s work passion is, without question, customer service. Under the tutelage of Davis Wilder, Doug has grown into one of the most detail-oriented salespeople in the business. He goes above and beyond for every customer he encounters, no matter the size of the sale. Doug was born in Montgomery, Alabama in 1988 but lived in Pittsburgh until the age of 5, when his family moved to Birmingham, where he grew up prior to enrolling at Auburn. Doug is an only child whose passions include baseball, golf, and all things Auburn.